Tired of trying different types of tea yet not satisfied. Try Iaso Tea, which is 100% natural and organic. This tea is a mixture of all the natural herbs like ginger, Malva leaves, Blessed Thistle, Holy Thistle, Papaya, Persimmon leaves, Marsh Mallow leaves, Myrrh, as well as the famous Chamomile herbs. A combination of all these offers great detox benefits helps in case of stomach distress, and is best for weight loss. These herbs, when combined with each other, nourish your liver that further helps to flush out the toxins from the body. TLC product success and trust are based on three pillars – quality, diversity, and customer satisfaction. They adhere to the quality assurance process so that they could win the trust of people who are relying on their products. Their products are known to be very effective and are known worldwide. The company is so serious about their business in the market and the products that are being sold in the market that they continuously work on enhancing their products and implement strategies to improve their products. It’s a consistent effort because they strongly believe that there’s always a room for growth and improvement at every step. For advice and additional information about this supplement or helpful tips, you can contact the manufacturing company directly at the following phone number: 512-552-5245. Ingredients: Persimmon Leaves, Holy Thistle, Malva Leaves, Marsh Mallow, Blessed Thistle, Papaya, Myrrh, Chamomile, and Ginger. Iaso or Ieso was the Greek goddess of recuperation from illness. All the daughters of Asclepius had been known to be connected with healing. The Iaso tea has been derived with the same healing properties in mind and it has shown proven results. This 20 years old tea is popular for its ability to cleanse the body and flush out all the harmful toxins. Popularly known as “Miracle Tea” due to its highly curable properties. Not only it rejuvenates your body, you also feel revived, it is quite affordable as compared to other weight loss and healthy teas in the market. Since the tea is made up of all the natural ingredients, that is, herbs, it is undoubtedly a healthy drink as well as the most potent one. All the herbs are brewed properly so that the properties of all the herbs when combined together results in healthy tea, which is also harmless. Persimmon leaves have antioxidants, are anti-carcinogenic, anti-mutagenic, antihypertensive properties and is widely used in tea in China and Japan. Just within a week’s consumption of Iaso Tea, you can feel your digestive system improving. It is highly recommended for those with allergic reactions. Since all the toxins are flushed out with its proper consumption, your liver stays healthy all the time. Holy Thistle helps to purify the blood and also aids proper blood circulation. Malva Leaves helps to improve the bowel syndrome. Marsh Mallow has great healing properties in addition to improving indigestion and respiratory tract relax. Myrrh has anti-inflammatory properties and helps strengthen the heart muscles. How Much Does Iaso Tea Cost? Iaso Tea is a little more expensive than other similar nutritional supplements. If you consume Iaso tea in excess or not as recommended, you are likely to have loose stools, frequent urination, or/and bloating, gastric issues, or headaches due to the gas problem. Some people do not like its taste even though it has good effects on your health. So, the choice is yours! 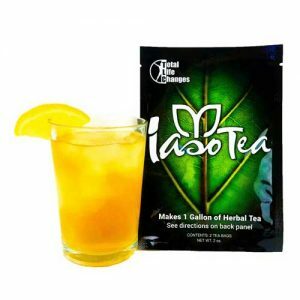 Where To Buy Iaso Tea? Iaso Tea can be ordered online from different places but our recommendation is to either buy it directly from the manufacturer or purchase it from trusted online retailers which may offer you discounts. We did a research on other products from TLC. Here is a complete list.